A doula shares “Supporting Arms” with a client. 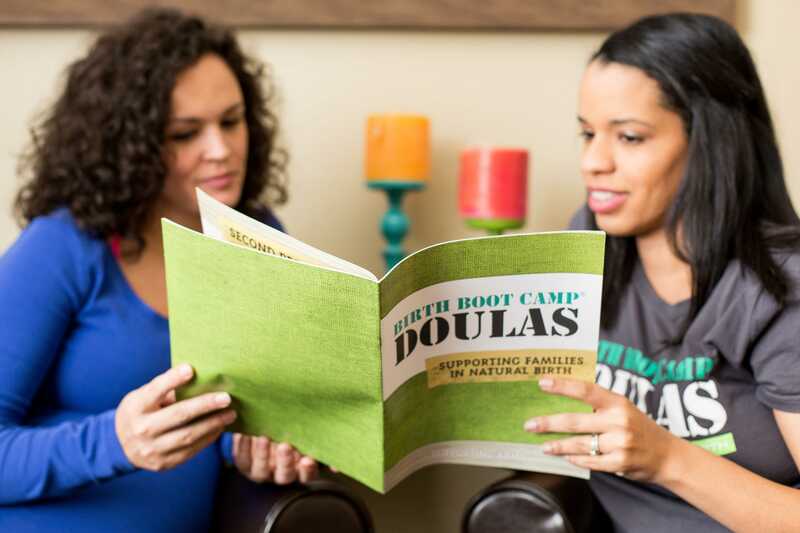 Every Birth Boot Camp DOULA client receives the incredible “Supporting Arms” booklet from their Birth Boot Camp DOULA. We are so proud of this little book and our doulas love it. The “Supporting Arms” booklet contains wonderful and useful information for both the doula and her client. What is in “Supporting Arms”? Information on when to contact your doula. A coupon for an online Birth Boot Camp childbirth class. A place to write down local resources recommended by your Birth Boot Camp DOULA. Information you will cover in your 1st and 2nd prenatal visits with your Birth Boot Camp DOULA. Tips for birth and relaxation for you and your partner. Useful information and pictures about what happens in labor. A relaxation practice exclusive to Birth Boot Camp DOULA. Incredible breastfeeding and postpartum information. All in full color, gorgeous pictures! What do doulas say about “Supporting Arms”? At Birth Boot Camp our mission is to help prepare couples for amazing natural births. One way we strive to do this is by supporting our instructors and doulas with the best training, preparation and materials we can possibly offer. We love that all of our doulas can take materials with them to their visits and interviews that look professional and that provide information that is above and beyond. They love that they don’t have to photocopy dozens of papers from various sources and staple them together for each new client. Hailie Wolf, a Birth Boot Camp instructor and doula in Abilene, TX notes the focus on postpartum baby care and mother wellness. “There is really nothing else out there like the Supporting Arms booklet. It is complementary to a thorough childbirth class, but it can definitely stand alone as a great reference as well! In addition to a comprehensive childbirth class and a supportive birth team, the Supporting Arms booklet is another amazing tool to have in your toolbox!” You can find Andrea at www.firstcomeslovebirthsupport.com. Our format is organized, simple, and polished. We love it, our doulas love it, and we know their clients love it! Already we hear our doulas reporting that in interviews their clients ask, “How can I get that booklet? !” The answer- Hire me! So, without any further ado, here it is!